ATLANTA (February 2, 2017)—The Atlanta Braves today announced a multi-year relationship with Children’s Healthcare of Atlanta to bring exciting baseball-themed activities to SunTrust Park for the Braves’ youngest fans. 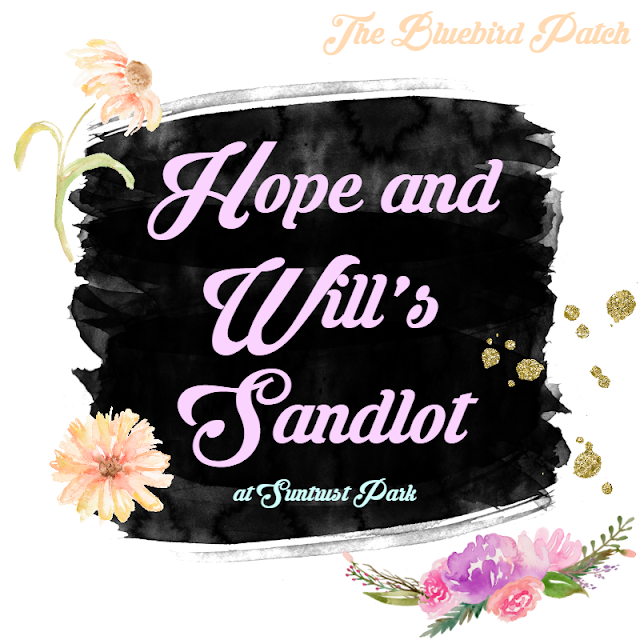 SunTrust Park will feature “Hope and Will’s Sandlot,” a large, kid-friendly area hosted by Children’s Healthcare of Atlanta that will have the first-ever zip line and climbing tower inside a professional sporting venue. Visitors will be able to use the new Braves app to reserve a timeslot to access both of these attractions. 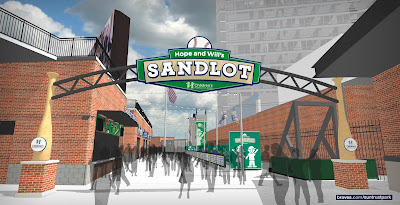 There also will be a batting cage and a variety of other interactive games in addition to kid-friendly food and merchandise. The Braves and Children’s will be bringing back a longtime tradition, and crowd-pleasing favorite for Braves families - kids running the bases after Sunday games. The Braves will continue to host the annual Georgia/Georgia Tech game at SunTrust Park, this year taking place on May 9 at 7 p.m. 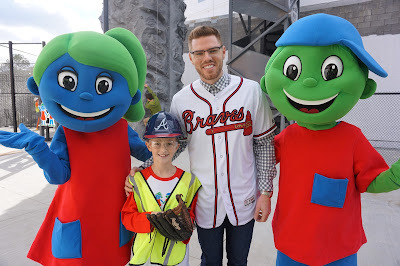 The game also raises money for Children’s Healthcare of Atlanta. Last week it was announced that on Saturday, April 8, 2017, University of Georgia baseball will play Missouri in the first event open to the general public in SunTrust Park to raise money for Children’s Healthcare of Atlanta. Tickets to the game will be $15 and group packages are available through Ticketmaster charge-by-phone at 800-745-3000, Ticketmaster.com or through Children’s Healthcare of Atlanta at www.choa.org/firstgame. The Braves will open the 2017 season on the road with games at New York, Pittsburgh and Miami, before their inaugural homestand at SunTrust Park beginning on Friday, April 14, 2017. 2017. Located in Atlanta at the intersection of I-75 and I-285 in the bustling Cumberland area, SunTrust Park will flow directly into The Battery Atlanta, a 1.5 million square foot mixed-use development, featuring boutique shopping, chef-driven restaurants, an Omni Hotel, The Coca-Cola Roxy Theatre, 550 residences and One Ballpark Center, Comcast’s regional office headquarters. Powered by Comcast’s all-fiber network and delivering multi- terabit capabilities, SunTrust Park and The Battery Atlanta will have the highest-capacity network serving any stadium and mixed-use development in the nation. 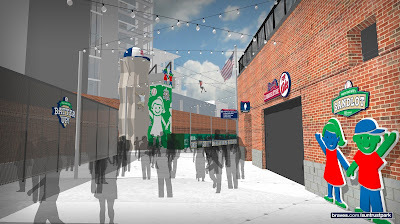 The Battery Atlanta is being privately developed by the Braves along with retail partner Fuqua Development, office developer Pope & Land Enterprises and Pollack Shores Real Estate. Visitors can get a sneak peek of SunTrust Park and The Battery Atlanta at www.braves.com/suntrustpark or www.batteryatl.com. Children’s Healthcare of Atlanta has been 100 percent dedicated to kids for more than 100 years. A not-for-profit organization, Children’s is dedicated to making kids better today and healthier tomorrow. Our specialized care helps children get better faster and live healthier lives. Managing more than 870,000 patient visits annually at three hospitals and 27 neighborhood locations, Children’s is the largest healthcare provider for children in Georgia and one of the largest pediatric clinical care providers in the country. Children’s offers access to more than 60 pediatric specialties and programs and is ranked among the top children’s hospitals in the country by U.S. News & World Report. With generous philanthropic and volunteer support since 1915, Children’s has impacted the lives of children in Georgia, the United States and throughout the world. Visit www.choa.org for more information.